The director also talked about casting Atom Araullo in the lead role. (SPOT.ph) One of the most highly anticipated Filipino films of the year is Citizen Jake, the comeback project of veteran filmmaker Mike de Leon (Kisapmata, Batch '81, Kung Mangarap Ka't Magising) after 18 years. In a lengthy series of posts on the film's Facebook page, however, the director admitted that it could possibly be his last, saying, "The film will run for over two hours and a half, my longest and most personal film, perhaps a fitting closure to my work as a film director in case it happens to be my last." Prior to Citizen Jake, de Leon's last work was 1999's Bayaning Third World. Before the last election, he made a "series of anti-[Bongbong Marcos] videos," which led him to explore digital filmmaking and social media. 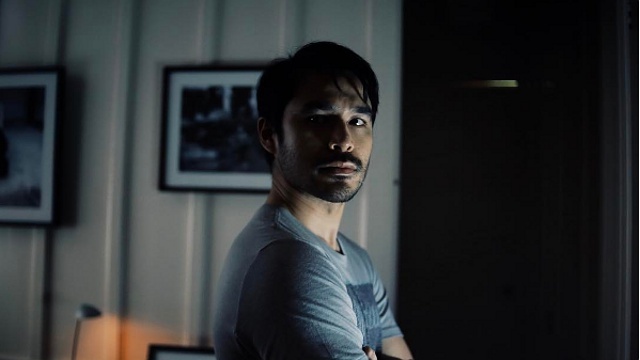 Still, the idea of making a full-length feature "nagged" him and he "stumbled" upon the idea for the movie—and a story about Atom Araullo resigning as a news reporter. "I don’t know the world of television at all and it never interested me, so I guess I was one of the very few in this country who had never heard of this guy. A friend set up a meeting and Atom and I met and chatted for a while," he explained. "Although I didn’t even have the faintest clue of what the story would be and told him so, he was clearly open to the idea of making a film with me." Araullo didn't just star as the titular character; he also co-wrote the script with de Leon and Noel Pascual. Although major plot details are still being kept under wraps, de Leon gave a couple of hints, saying, "Is it a political film? Not as overtly as Sister Stella L. or even Batch ‘81. In the inevitable futility of Jake's unrelenting search for the truth, it is closer to Kisapmata. Hence, it is first and foremost a human drama, a personal saga of a young man struggling with the contradictions within his own social class and the demands of a dysfunctional political family. It is also a thriller of sorts, minus the shoot-outs and the car chases." As for the reasons behind returning to making movies, de Leon admitted that Citizen Jake would be a "fitting end to the legacy" of his family's now-defunct film company, LVN Pictures. And in true de Leon form, it was also because he was "spooked" about the Marcoses returning to power. "We had just elected a President who believed that the regime of Ferdinand Marcos was not bad at all. And as things are turning out, this President is determined to outdo the dead dictator in his sociopathic quest for absolute power." At this point, we still don't know when Citizen Jake will hit cinemas; the Facebook page previously (and hilariously) quashed reports that they were joining the Metro Manila Film Festival. In fact, the film isn't even finished yet: "Within the next two months, I hope to finish Citizen Jake. Where it will be shown, when, and how are questions that I continue to ask myself, a few friends, my gifted co-workers in post-production, and Atom, of course."